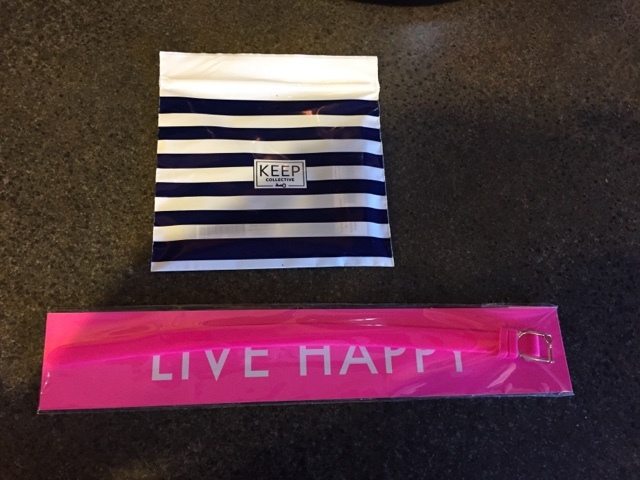 A friend of mine had a online party for a company called KEEP. I hadn't heard of this company before so I was curious what it was. It turns out it is the sister company of Stella + Dot and is based in the United States. At first I wasn't too interested since I am not much into jewellery but the rep kept posting ideas on what you can make as it is basically a design your own KEEP kinda line, which I think is kinda cool. One of her ideas caught my eye and so I decided to see what it would cost for me to make. How awesome is the shipping packages for this company. I didn't want to rip the bag because it was so pretty but I didn't know what I would use it for even if I could so I tore that baby open. The bottom package I saved the cardboard it was against and I am now using it as a bookmark. 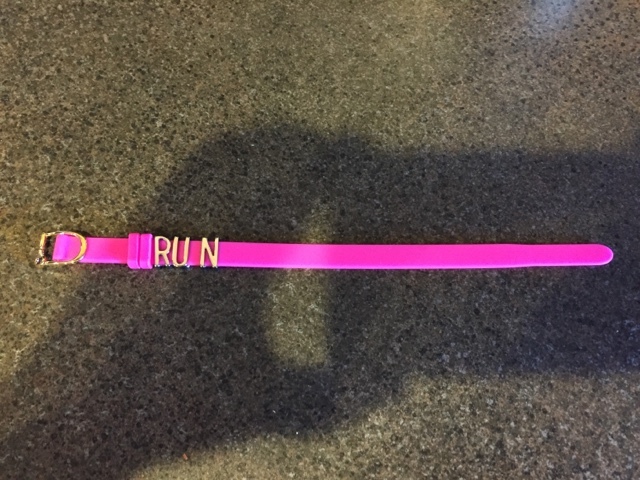 So the design that caught my eye was a simple bracelet that just had the word run on it and I was like I need that. Luckily for me all letters and numbers were 50% off, however I did find the bracelet to be a bit pricey but I got it anyway. 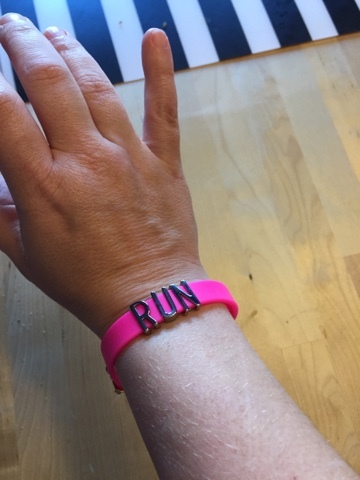 I knew I wanted bright pink so my options were limited and I didn't look too much at the price of other bracelets to see if there were cheaper options. Shipping was also $9 which I didn't like paying but paid for anyway. I didn't look to see if it was free after a certain dollar point because I wasn't spending anymore money haha. I ordered the bracelet Saturday night, it shipped Sunday around lunch time and I got it Thursday afternoon. The tracking information is a little misleading as I wasn't supposed to receive it until Today and they don't do a very good job of tracking when it leaves places. For example, I know it got to Toronto but I saw nothing about it leaving there until I randomly checked Thursday morning and saw it was in Calgary. But I got it quickly so that is good. I have worn my bracelet everyday since I got it last week. I have worn it in the bath tub, washing dishes and running and pretty much everything in between and I have no complaints. Also, if you are interested in becoming a rep, it is a very new company and so there are few reps here in Canada and there is plenty of opportunity if you are into that kinda thing. I am not but maybe one of you are! 11 of 37 by 37 "Successfully" Completed.